Recently I walked through all the steps to get access to the official dot com zone file from VeriSign. I will share this guide with you, hope will be useful for anyone who wants to get access to this useful information. What is TLD zone file? First we need to explain what is TLD zone file and what data contains. Basically TLD zone file contain the information needed to resolve the domain name to it’s IP address. Each TLD zone files contain all registered domain names and associated name servers. Why access TLD zone file? As we mentioned above contains all registered domain names and associated name servers. This is very useful info for research and reports. It gives useful data for. Total registered domain names in specific TLD. Name servers settings, e.g. parked, active websites, pointed to landing page and etc. Domains registered per day/week/month in specific TLD. You won’t get access by simply registering to VeriSign website, there is approval process that takes up to a week. First step is to apply for access to dot com zone file. This can be done on VeriSign website here Apply for TLD Zone File Access by downloading the request form. After you fill and email the form to VeriSign, you will get reply after a day or two. If you get approved they will send you an agreement which is locked with a key in order to protect your personal data. To unlock and download the agreement you need to call their support and they will provide you the unlock key. I called their international number +1-703-925-6999, but they have toll free number I assume for US only: 1-855-229-8776. When you sign and scan the agreement email it back to them. This will take another day or two. Then you will get an approval email that tells you to repeat the step and call their support again, this time they will provide you the FTP credentials to access the dot com zone file. When you have the credentials to access the dot com zone file, connect to their FTP server and will see the following. Important: you can access VeriSign FTP only from the IP that you provided in step 1 when filling the Request Form, you can’t access the FTP from other locations. Dot com zone file is com.zone.gz with approx size of ~3GB, unzipped is around 11 GB. It contains all registered dot com domain names with to date, which are 135 144 667 in the time when I write this post. After downloading it you can use that zone file for your research and reports. Keep in mind that you can’t just open the file in any text editor or reader, it’s a huge file and probably you will need development skills to parse the file and extract the information that you need. I have in mind some useful tools that I hope will have the time to develop and share with you. Hope this guide was helpful to you and I am open for any questions that you have. 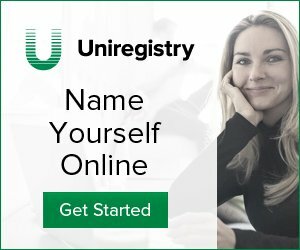 Next story GoDaddy still offers Privacy Protect to EU customers?